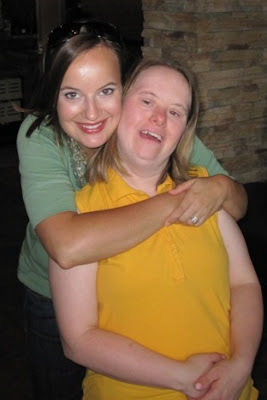 As I was growing up with a sibling with Down Syndrome, I noticed that friends seemed curious about her disability but were often reluctant to ask questions for fear of saying something wrong or offending me. However, I never minded answering questions. In fact, I appreciated it when someone was brave enough to ask because I would prefer to answer a question and enlighten people about an unfamiliar topic rather than allowing the ignorance and misconceptions about special needs to continue. That’s why I was so surprised and excited when I started this blog and got flooded with emails containing questions from followers. I never expected anyone beyond friends and family to take an interest in Confessions of the Chromosomally Enhanced. The most unanticipated and wonderful consequence of blogging about our experiences has been the opportunity to inform newcomers to the Down syndrome world that growing up in this world has been the BEST thing about my life. Thanks to all the internet horror stories that circulate, I’d prefer not to broadcast our specific location. Let’s just say we live in the Midwest in a medium sized community with easy access to bigger cities. Did you adopt within the US or internationally? Josie was adopted within the United States. How did you guys end up adopting her, I mean did you just put it out there that you wanted to adopt a baby with Down syndrome? 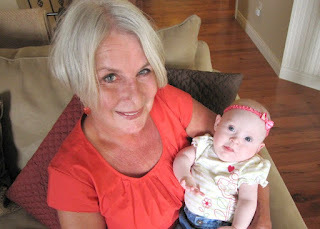 We registered with the National Down Syndrome Adoption Network: http://www.dsagc.com/programs_adoption.asp. in January 2010. We filled out some family profile information and drafted a “Dear Birth Mother” letter. Josie’s birth mother contacted the National Down Sydrome Adoption Network and selected our family based on the information we provided. 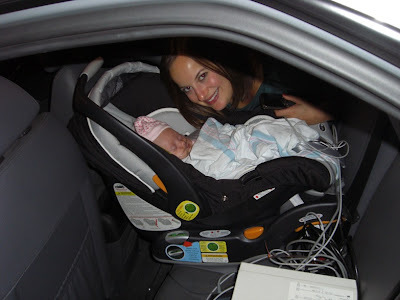 We found a local adoption agency and completed our home study on March 26, 2010 and Josie was born on March 28, 2010. We were very surprised by how quickly we received placement as we anticipated the adoption process taking years. Will growing up with a sibling with Down syndrome have a negative impact on my other kids? I now know this is a tremendous concern for many expectant parents. Addressing this concern has been one of the best things that resulted from this blog. I want parents to know that having a sibling with Down syndrome is not a negative thing. Growing up in the special needs community, it wasn't positive or negative - it was just my reality. It truly isn't the burden that people fear it is; it is just a different version of "normal". You know how they say kids aren't born racist, they learn racism? Well, that's the beautiful thing about kids. They are too innocent to judge people based on differences. By default, they accept people as they are. Honestly, that's one of the most beautiful things about Leanne - she never lost that innocence. And the beauty of growing up with a sibling that has Down syndrome is that it will instill a natural sense of compassion for people who are "different". That extra chromosome won't matter. Someday, when you hear someone say "retard" or use another slur against a person with a disability, it will hurt you because it is demeaning to your sibling. That empathy and compassion will automatically come. That is one of the best side effects of having a sibling with a special need. I can honestly tell you, in my lifetime of experience in the special needs community, I've never met a typically developing sibling that resented the experience. In fact, most of the social workers, special Ed teachers, therapists, and people who adopt kids with special needs, etc. grew up with some sort of connection to the special needs community and feel a strong desire to maintain that connection in adulthood. As a sibling w/ someone with Down syndrome, do you have any advice? It was written by a doctor who studies Down syndrome; his sister has Down syndrome. It helps siblings understand and cope with the challenges. Honestly, I learned a lot from the book as an adult. I’m wondering how to explain to my other children about their sibling having Down syndrome. How did your parents announce to you that your sister had Down syndrome? There was really no formal “talk” about Leanne having Down syndrome. Leanne was just Leanne. The Down syndrome was not a secret by any means; the family was not ashamed to mention it. It was just part of who Leanne was and my parents didn’t feel the need to make a big deal out of the chromosomal difference between her and I. There may have been times when my mom may have asked me to wait patiently because Leanne needed more help with a given task but I understood that and never resented her for it. 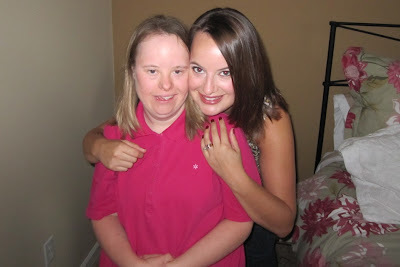 Overall, we were treated very equally and Leanne was rarely singled out because of her disability. I would encourage new parents to do the same. Don’t avoid discussing Down syndrome in front of the other children but don’t make a big deal out of that one difference. If questions arise about health or learning challenges relating to Down syndrome, answer them honestly. However, it’s important to stress that we all have strengths and weaknesses in different areas and that just because a sibling may require more time or assistance to conquer a new challenge, it does not make them “less than” typically developing individuals. What were you doing professionally before Josie came along? I have a degree in Business Administration and have spent the majority of my career in financial development (fundraising) for several non-profit organizations with a few brief stints in the for-profit world. During the past eight years of marriage, my husband and I have lived in five different states. We’ve relocated frequently because of his job with a large, international company. Due to all of this relocating, my career path has been a little erratic and I’m still not entirely sure what I want to do when I grow up! We are thinking of adopting a child with Down's who is almost 5. I have no idea about what to prepare for. 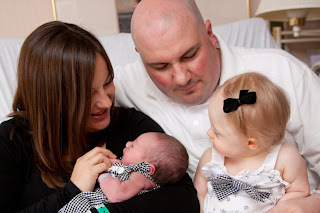 Do you have any advice about how to raise a child with Down syndrome and how it will be different than a typical child? 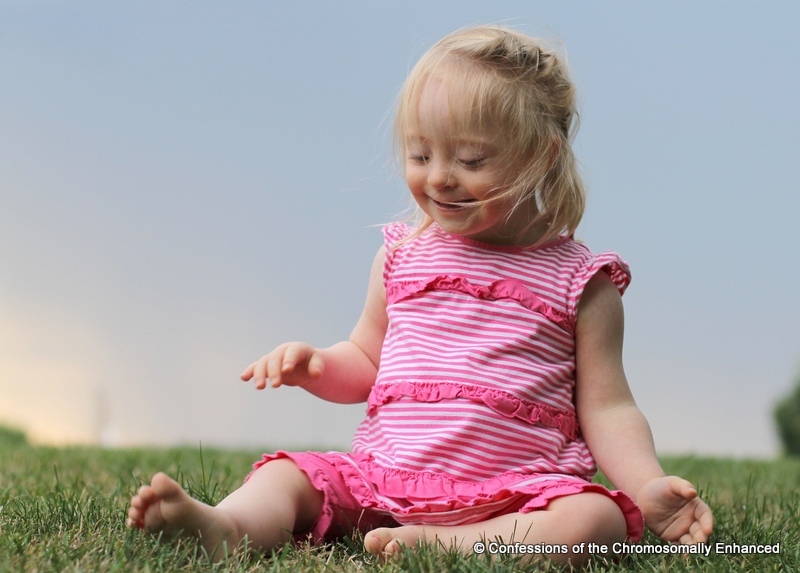 Children with Down syndrome require patience, acceptance, encouragement, commitment, and love – just like typical kiddos. Development may be slower and the medical challenges may be greater but there are no guarantees with typical children either. Any one of us could be in a terrible accident tomorrow and end up severely disabled. If God forbid, that were to happen to one of your family members, would you stop loving them? Of course not. That’s why any parent with a heart full of unconditional love is probably more equipped than you realize to parent a child with Down syndrome. Good Question! I do cringe to answer it as I know this is a controversial topic. 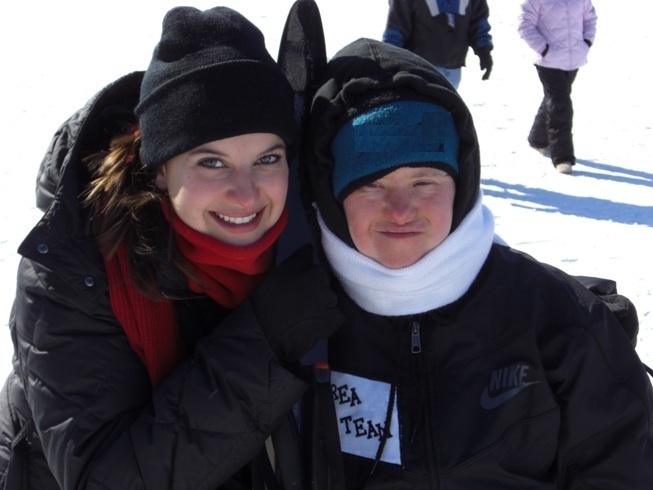 Regarding how Leanne refers to herself and her peers with Down syndrome…Leanne knows she has Down syndrome and if you ask her what it means, she says “It means you’re special”. Among her peers with special needs, she can differentiate the individuals that have Down syndrome and the ones that do not. An interesting thing about Leanne is that she is not afraid to point out differences in people and inquire about them “Why does he have hearing aids? Is he deaf?” or “Why are you in a wheelchair? What happened to your legs?” She is not trying to be judgmental, just innocently curious. The term “Downs Diva” is a loving nickname given to Leanne years ago (before the people first language movement) and is by no means intended to be malicious. While I am aware that she is not defined by her Down syndrome, I am not offended by the use of “Downs” as an adjective in front of a noun (i.e. “Downs baby”) because I personally do not perceive Down syndrome as a negative term nor do I think a failure to use people-first language is intended to be insulting. I totally understand why the use of the “R” word is offensive but I just don’t put failure to use people-first language in the same derogatory category because in my experience, the intent behind the word is usually well-meaning. While it is important to continue to educate ourselves, evolve, and avoid using vernacular that is old-fashioned or offensive, we also need to realize that too much emphasis on being politically correct simple scares people off because they are afraid of saying the wrong thing. I place more importance on being a receptive source of information about Down syndrome. I want people to be able to ask me a question without fearing that I will snap at them over the proper phrasing because doing so would only make them avoid discussing the topic in the future which doesn’t help to further societal acceptance and understanding. I feel like it addresses the topic very eloquently. Who is YaYa? Who is Mama Hop? Where did those names come from? YaYa (Travis' mom) and Mama Hop (Elizabeth's mom) are Josie’s grandmothers. Neither one of these vibrant, youthful ladies really wanted to be called “Grandma” so they came up with other titles. “YaYa” was uttered by my niece as a baby and it stuck. It also happens to be the Greek word for Grandma (even though we’re not Greek). “Mama Hop” was a title given to my mom by my friends in high school. The “Mama” part suits her because she is maternal to the bone and excels at every domestic endeavor she attempts. She’s kind of like the Paula Deen of the North! Hop is a play on a last name and no, I will not tell you what it is. 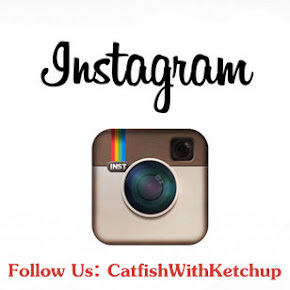 Why does Leanne call Josie “Catfish with Ketchup”? If I only knew! You see, Leanne is obsessed with food and she gives everyone a food name. When we announced the impending arrival of Josie, Leanne immediately decided her food name would be “Catfish with Ketchup”. Travis and I begged and pleaded for another cuter, more feminine food nickname but it was not negotiable. 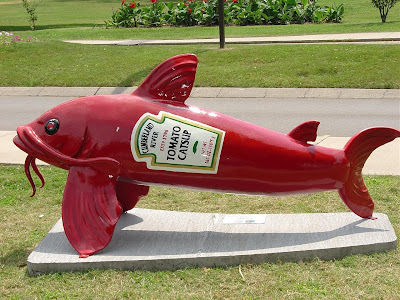 I guess it is a testimony to the fact that we are Catholics living in the Midwest – fried Catfish with Ketchup is a staple on Friday nights during Lent. Josie’s speech is really impressive. What have you done to develop her language skills? We can’t take too much credit because speech has truly emerged as one of Josie’s natural strengths. As opposed to gross motor, Josie is eager to work on her language skills. 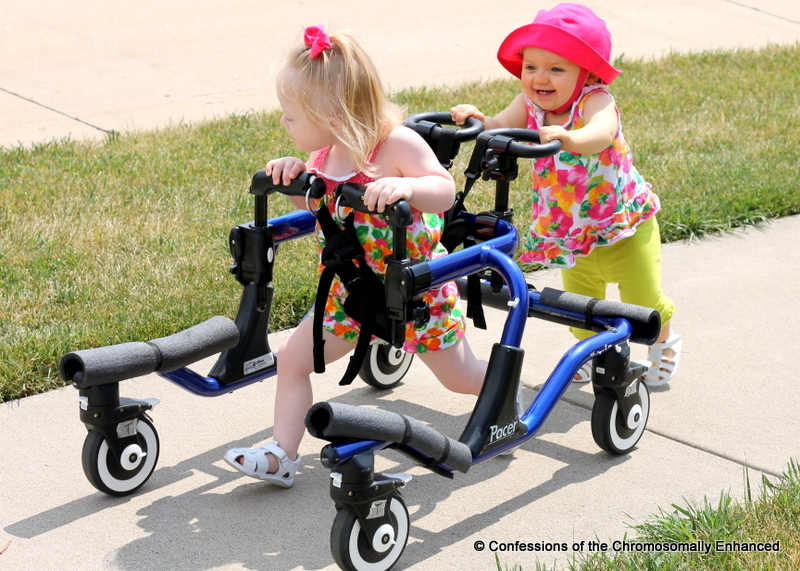 I understand the frustration parents experience when their child’s vocabulary isn’t developing as fast as they’d like because we have experienced that with Josie’s gross motor development - especially walking – which is quite delayed. It literally wasn’t until the last couple of years that I learned that Leanne is difficult for most people to understand. Hearing that literally shocked (and honestly, offended) me because I understand everything she says (naïve, I know)! Once this was brought to my attention, I became even more committed to ensuring that Josie is articulate and easy to understand. Children in our area do not receive speech therapy until they are two years old. We were not okay with that so we enrolled Josie in private speech therapy. We did do a lot of reading, talking, and singing. 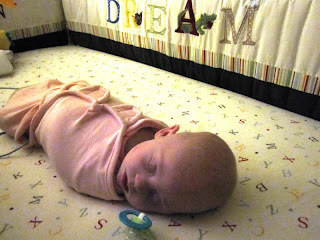 Early on, her SLP told me to work on animal sounds because those sounds provide a good foundation for language. I went out and got plastic animal figurines and animal books and we worked on the animal sounds. Josie loved it. We moved on to body parts and would label her "eyes" "nose" "arms" etc. in the bath and she caught on to that quickly. We kind of built her vocabulary from that. Why don’t you let your children watch TV? I will say that our children have learned to entertain themselves very well without television and that they both have above average attention spans for children their age. As they get older we do intend to let them watch limited amounts of television. I grew up watching Sesame Street and Mister Rogers Neighborhood and I didn’t suffer any long-term negative impacts. While it may not work for everyone, for now, our “No TV” policy works for us. What do you have wrapped around her? It's actually earned her the nickname "Josiepotamus". 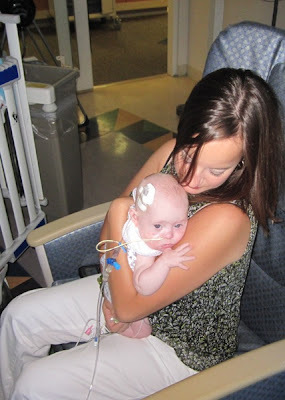 It came in really handy when she was hospitalized on a ventilator because we were able to keep her hands from grabbing at her breathing tube by keeping them velcroed tight! Everyone at the hospital was amazed by this little "baby straight jacket" because it really works wonders. You can also leave the baby’s arms out if you prefer. Josie still wears it around her lower half to sleep because it keeps her pulse ox cord tucked away so she can't pull on it or get tangled in it. You can get them at Toys R Us, Target, Walmart, Amazon...etc.